WCPE Episode 186 – Best of 2017, or Pumping Gas in Oregon – WORST. COMIC. PODCAST. EVER! The calendar may now read 2018 but we are not done talking about 2017. With that year FINALLY over, we look for the best of the best – the best single issue, the best ongoing series, the best TV series and the best movie! We all make our picks, but we want to hear from you. Do you agree or disagree with your picks? What did we overlook? Share your thoughts with us in the comments. We also start looking ahead to a pair of cons we will have a presence at next month. First up is the I Like Comic Con in Vancouver, WA, on February 10 and 11. Cullen will be representing the Hero Initiative and WCPE, so stop by and see him if you are in the area. There are a lot of incredible guests attending the show, and you do not want to miss this. 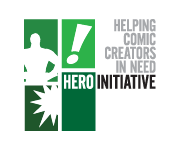 The following week, we will once again be volunteering for the Hero Initiative at Planet Comicon in Kansas City, MO. We will be hosting multiple panels throughout the weekend, including our own WCPE panel on Sunday afternoon at 3 PM. In addition, we will have comic creator Ty Templeton as a special guest at the Hero Initiative booth. He will be signing books, doing sketches, sharing stories and helping to raise funds for a worthy cause. You do not want to miss out on meeting Ty. We go over some other topics, from pumping gas in Oregon to The Inhumans to Brian Michael Bendis’ plans for Superman. Seriously, what are you waiting for? Stop reading and start listening. You will thank us later!